If you have bands like If Only, Laos, Broke(N)Blue and Alyson Avenue in your collection - then this is a review you should read. Bad Sister is a female fronted AOR band from Germany that has released 2 studio albums Heartbreaker (1989), Out Of The Business (1991) and a live album called Live (2003). 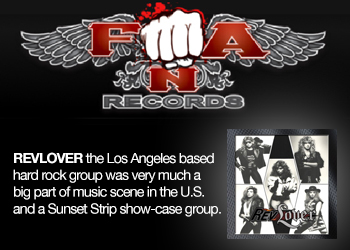 Now 18 years later they are back with a brand new studio album and they know how to make catchy AOR-songs. This is a 6-piece band with 2 keyboard players so you can imagine that there’s plenty of fantastic 80s AOR-keys on Because Rust Never Sleeps. Singer Suzie Lohmar has a strong voice that sometimes reminds a bit of Ann Wilson but if you own the classic If Only album, then her voice can be compared with Tina Egan. 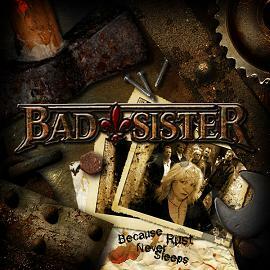 Bad Sister deliver exactly what they have done on their previous albums and that is good old AOR with stunning melodies and hooklines, this is female fronted AOR at its best. The album opens up with the awesome AOR-rocker Surrender with strong riffs and fluffy dut-dut keyboards and the catchy chorus is outstanding. Take Me As I Am is filled with fantastic melodies and the chorus is pure magic with strong keyboards, this sounds like Heart back in the mid 80s. Try to get these two songs out of your head when you have heard them! The pianoballad Carry On is nice with good harmonies in the chorus but not the best ballad on the album. 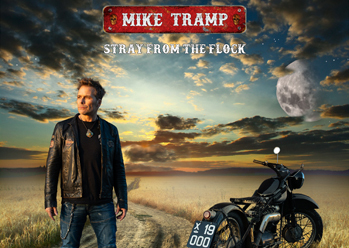 Heat Of The Night takes you back on track again with pompish keyboards, knifesharp guitars and a sing-a-long chorus. Don’t Love Me Again is the big ballad of the album. Yes, this is a brilliant song with fantastic melodies and the chorus is powerful with strong background vocals. 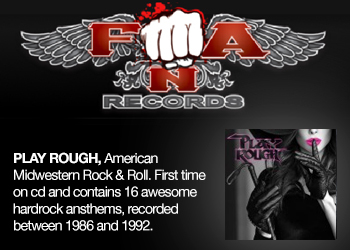 Through The Night is another pure AOR-cracker with big hooklines. If you love big 80s keyboards then check out Talk To You Later because they are everywhere on this one, the song is great. There are a couple of fillers that they could have left out and those are Zone Zero, Rocky Road, Hard Time Shuffle and the boring Last Train. Take away these 4 songs and you got 9 songs filled superb slice of hook laden 80s AOR. So if you are into female fronted AOR, then this is an album you should check out without hesitation. I can only say welcome back and don’t keep us wait another 18 years for a follow up. Thumps up.